Edgy Labs brings you the 7 best European cities for the founding of tech startups based on the European Startup Initiative's criteria. Today’s rapidly advancing technologies owe their pace to the rise of startup companies. These companies take innovative or revolutionary new ideas and center their business around the development of one or more concepts. Europe is a hotbed for technological advances, and here are the 7 best cities for fostering new startups. Tech startups require investors, ideas, and talent to succeed. However, they also need to be in the right place to cover those angles. For the purpose of developing new startups and new technologies into the world, we must better understand which places are best. Access to highly qualified talent. Munich may have more expensive startup costs than its higher-ranking competitors, but it has a steady flow of tech specialists from nearby Regensburg. It is home to the entirety of the automobile giant BMW. With these two factors working in Munich’s favor, it earns a solid rank among Europe’s most startup friendly cities. With its close proximity to London, Dublin shares many of the same features of that city, albeit to a lesser extent (or greater, when you consider startup costs). Still, they are a primarily English-speaking country, making it easier for them to recruit new talent in the international sphere. Because of those two facts, it could be the case that whatever quality talent doesn’t go to London has a good chance to find their way to Dublin instead. Anyone remember when Portugal was stuck in a debt crisis and needed the EU to bail them out? That crisis may be a contributing factor the low wages that make it more cost-effective to create a startup. Also, the city has been reaching out to specialized tech talent that speaks impeccable English. Between these two features, it is no wonder that the number of tech startups founded in Lisbon has more than doubled (from 5 to 14 since 2014). Barcelona is enjoying a rising reputation as a tech hub for Europe because it hosts gatherings such as the World Mobile Congress and the Tech Experience Conference. It might not have the lowest startup costs, but there is no denying that European technologists are going to Barcelona to network with other researchers and developers, meaning that a wealth of good talent are flocking to Barcelona to be close to the pulse of the European tech world. In addition to being famous for its tourism, Amsterdam is a hotbed for next-gen initiatives and projects that seek to integrate new technologies with existing infrastructures. For example, startups in Amsterdam are at the forefront of 3D printing technology, and they show it with projects like the 3D printed house developed by DUS Architects. With infrastructures already in place, startup costs are kept low, and the internationally-accepting atmosphere doesn’t hurt in the talent acquisition area. London was expected to be number one, but it fell short the next country because of the high cost of office space, which makes it more difficult to fund a startup. Despite this, London offers a friendly ecosystem, tons of investors willing to lend capital to innovative ideas, ubiquitous use of the English language (obviously), and favorable taxation schemes, cementing it in at #2 on the list. Number one on our list goes to Berlin. 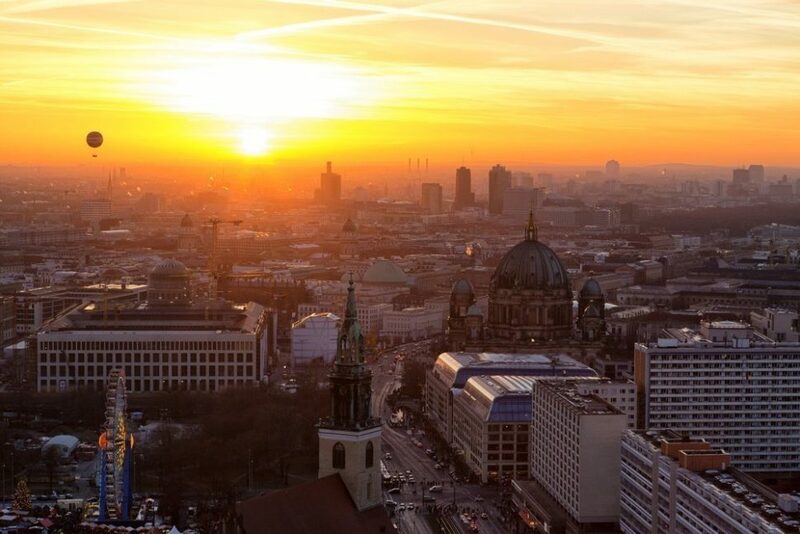 Berlin is considered to be one of Europe’s most international cities, making it a natural hub for technology research that takes in scientists from around the world, which gives it a social climate that is accepting of people that come from disparate cultures. Add in some very favorable startup costs when compared to other countries, and you get a country that covers every criterion of the study.